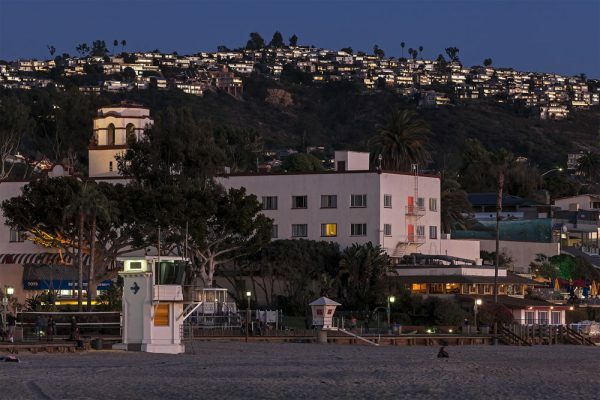 Laguna Beach Company projects expected to be processed by the city this coming year include the Cleo Hotel, the renovation of the Hotel Laguna and the potential renovation of the movie theater downtown. 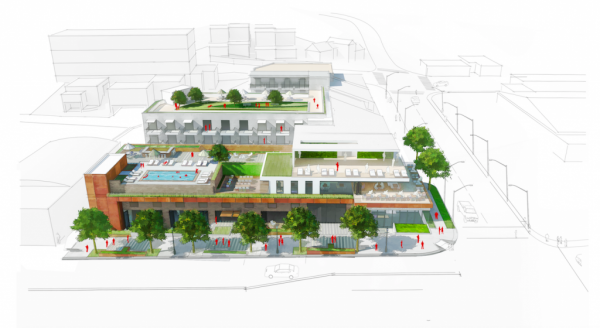 A proposed development in the Village. City Manager John Pietig’s decision to pull the proposal without public comment garnered groans from many of the residents in attendance. “It’s clear that this item is misunderstood, because we don’t have the capacity in the Community Development Department to handle a number of applications for large projects at one time,” Pietig said. The city employs about 10 planners who review a project’s compliance with the Municipal Code and the potential impacts on surrounding property owners and the public. Community Development Director Greg Pfost wrote in a staff report that his planners already have an “extremely heavy workload” handling initiatives such as the Historic Preservation Ordinance, Short-Term Lodging Ordinance, Major Remodel Ordinance, and Downtown Specific Plan and Action Plan. If the City Council isn’t interested in accepting such a contribution, then the city will either have to pay for increasing demand for planning services through the General Fund or an increase in fees paid by all project applicants, Pietig said. Mark Orgill, a Laguna Beach Company spokesman, said in a statement that the City Council agenda incorrectly used the word “donate” to characterize his company’s proposal. The Laguna Beach Company is instead interested in advancing a portion of the fees it expects to pay the city while it refines its Development Fee Program, Orgill said. Residents who attended Tuesday’s council meeting pleaded for the opportunity to share their opinions with the City Council, but Mayor Bob Whalen declined to let them because council members weren’t going to vote on it. “Let’s wait and see what comes back and there will be an opportunity for everybody to review it and comment on it,” he said. Kempf said she backed Whalen’s decision because the proposal was so unpopular among residents. “I’m game to not talk about it tonight because we’re probably not going to do it,” she said.